The second review in our modern classics series was released in September last year and was fortunately, a box office success. It was refreshing to see a theatre absolutely rammed on opening night and for once, this turn out wasn’t for a massive Hollywood superhero sequel. It was for a quiet British spy movie without a single explosion. Based on the best selling novel by John LeCarre, Tinker Tailor Soldier Spy is about a group of spies who discover that there is a double agent hidden right at the top of the ranks. What follows is what happens when the spies spy on themselves. It’s incredibly tense and requires concentration. Swedish director Tomas Alfredson seems like an unlikely choice of director for a film of this ilk. But what he creates is a film that’s classy, silent and subtle. The film flits across the globe and there’s a distinct European feel to the way the movie is shot. This coolness is enhanced by the 70s setting: the costume and soundtrack is spot on. You’d have to go far to find a better cast than this. The actors range from new talent to old veterans but they are all incredibly accomplished and really seem to flesh out the characters with great care. Gary Oldman’s George Smiley maintains some of Alec Guinness’ portrayal but adds an edge we haven’t seen before. We get the impression Smiley is one step ahead of everyone in the room, but unlike James Bond, he’s an unassuming retired man so it’s easy to empathise with him. Colin Firth takes on the eccentric Bill Haydon and is a delight to watch. It seems John Hurt’s role of Control is painfully under written, but nonetheless impressive. The young boys rounding off the cast feature Tom Hardy who thankfully neglected to try the Australian accent as Ricki Tarr and Benedict Cumberbatch who was remarkable as Peter Guillam. There was a lot of talk when this film was released that it was boring and hard to follow. That couldn’t be further from the truth. Although you may come into the film at an advantage having read the book, but that is not a necessity, you just need to accept this is not the type of film where you can nod off for 10 minutes and still expect to know what’s going on! 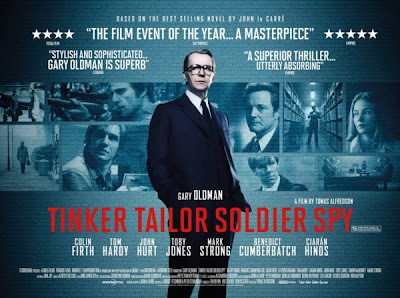 Tinker Tailor Soldier Spy is an example of British film making at its best so if you haven’t already, get the DVD because this masterpiece has more than earned its position in our modern classics series. 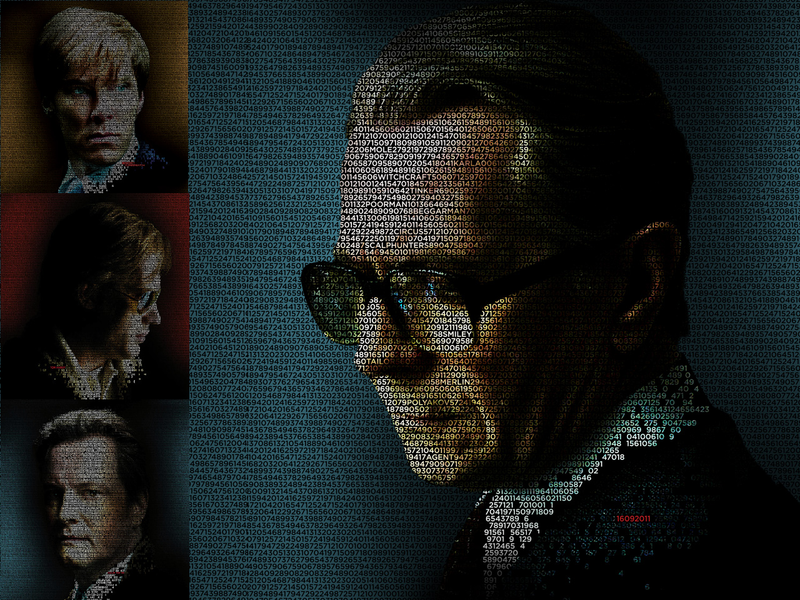 http://www.amazon.co.uk/Tinker-Tailor-Soldier-John-Carre/dp/0340739614 - Here's a link to where you can buy the novel from. http://hmv.com/hmvweb/displayProductDetails.do?sku=423936 - You can also purchase the DVD from HMV.